The rate is the lowest in three eurobond issues. Ukraine has placed eurobonds worth 1bn dollars under US guarantees, Deputy Finance Minister Yuriy Butsa has said on Facebook. "Placed. The lowest rate of all time, 1.471 per cent. The demand was times higher than the offer. And what is most important, these funds will be used to provide social support for those who need it," he said. Eurobonds will mature in five years. They are guaranteed by the USA represented by the USAD in line with the agreement on loan guarantees signed by Ukraine and the USA. This is the third issue of eurobonds under US guarantees. 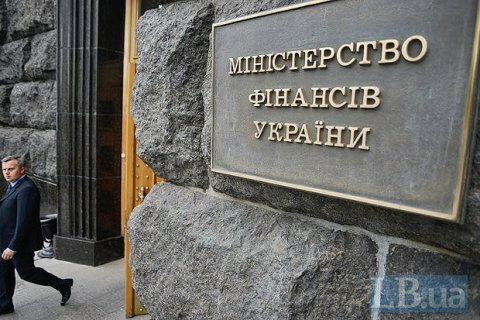 Two years ago, thanks to US guarantees, Ukraine placed five-year eurobonds worth 1bn dollars under 1.844 per cent per annum, a year ago the eurobonds were issued to the amount of 1bn dollars under 1.847 per cent per annum.